The Zippo Hand Warmer is built for winter warriors. It features a sleek and compact design, which fits easily into a pocket, gloves and trousers without the bulk of other handwarmers. 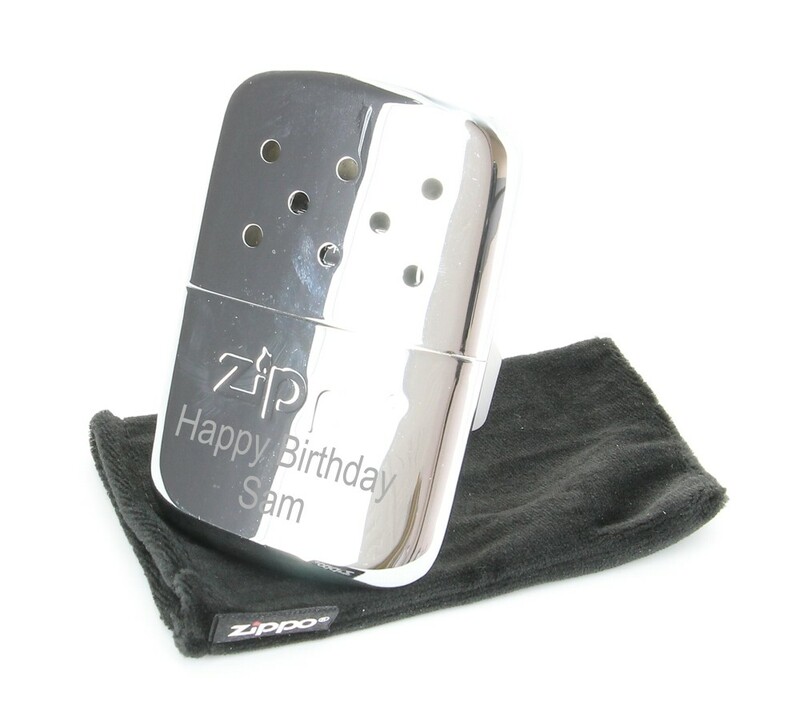 The Hand Warmer uses Zippo premium lighter fluid. It comes with a black soft pouch and a funnel for refuelling. It gives you 12 hours of heat! Engrave this great item with a special message, this will be engraved on the reverse of the handwarmer. Perfect gift for people who love fishing, skiing, golfing, dog walking in all weathers! We have a selection of fonts for you to choose from but if you don't see one you require please let us know the font in the Comments section at the checkout. There is no limit on the amount of characters you can have but please remember the more you have the smaller the font size will be.